The cost of living in Hong Kong is notably high compared to several other Asian regions. It used to rank among the top three in the past two decades in having the highest cost of living. Being a territory recognized as East meeting West, this cosmopolitan city has maintained its stature even with the change in governance since the handover in 1997. Everything in Hong Kong can be expensive from apartment rentals to leisure expenses to basic commodities. People relatively earn more, with an inflation rate of 2% as well due to the fast-growing trade and commercial industries Hong Kong is the richest state of the Republic of China and has higher gross domestic product per capita than the United Kingdom. Hong Kong is the 11th largest trader in the world since it relies mostly on imported products and materials for consumption and basic necessities. In 2009, Hong Kong again proved its competence in the global market by ranking 6th in per capita GDP at almost $189, 798,100,000.00, currently 34th place in the world. Food and beverages in Hong Kong are expensive since almost all materials and raw ingredients come from Mainland China and other nations. The state relies heavily on imported goods and products for daily consumption of citizens. On the average, an individual can spend around 300 euros for food and drinks. Imported meat products and canned goods and fresh fruits and vegetables are very expensive and can cost twice as much compared to other Asian countries. Dining out in a middle class restaurant costs about 80 euros. There are also authentic Chinese dishes available. Hong Kong does not export any food or agricultural product. Beverages are also expensive including water, which is primarily bottled and imported from Switzerland and other European regions. Hong Kong has a lot of imported wines, beers, tea and coffee products. All of these come from either Mainland China, which can be comparatively cheaper, or other Western countries. Wheat and grain products are imported from China, meat and poultry come from Australia and fruits and vegetables come from Thailand and the Philippines. Since Hong Kong is very much a part of China, expatriates get to enjoy affordable China-made wares and accessories. These are available in wholesale or bulk in most flea and night markets in downtown areas as mainlanders boosted retail sales in the territory. Jewelry, gadgets and electronics are also very cheap but quality is questionable since some are not made of durable material. Overall, footwear, clothes, cosmetic products and other accessories are one of the advantages in Hong Kong making it an automatic shopping destination. 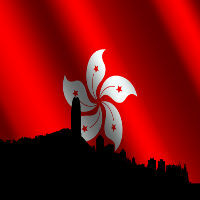 Hong Kong also offers high-end clothes and accessories made by the top brands and designers from all over the world. In Kowloon district, there are several shops and malls filled with all kinds of labels and brands. Tourists generally flock to Hong Kong to shop since the styles and patterns are very much updated with British standards. Street fashion is highly influenced by Western culture and one can definitely find any type of clothing, textile and style at the right price. Majority of the population in reside in apartment buildings and housing enclaves. Since the space area of Hong Kong is not enough to provide land ownership to all its residents, there are a number of private and public institutions that aim to properly organize housing schemes. Immigrants will then be more safe and secure and have the best benefits in terms of living space and conditions. On the average, a single-bedroom apartment in Hong Kong can cost around 500 euro every month including utilities and water. Prices of course depend on quality and condition. At present, Hong Kong is experiencing shortage in good and livable apartments and condominiums. Only the wealthiest get to live in luxurious hilltop villages overlooking the China Sea. Expatriates seldom get to have the opportunity to purchase land in Hong Kong, which averages around 1 million euro at least. Housing authorities provide housing plans for rural and urban tenants and senior citizens. The government also offers a number of apartments for free to those who are earning less than average. The worldwide recession has placed a damper on the real estate market in the territory since 2008, but this proved only for the short term as market indicators show that in 2009 steady increases in transactions and prices are being recorded. Transportation in Hong Kong is rampant and reliable. Taxis and MRTs are the usual modes. It is ideal to travel on foot or take the bus to save more while others ride bicycles around town. Daily transport in Hong Kong costs around five to ten euros. Health care is also given importance especially to senior citizens. Medical and rehabilitative services are not subsidized and each worker is recommended to have medical insurance. There are so many good schools in hong kong. ESF schools. american international school. japanese international school. chinese international school. german international school. canadian international school. Private education is still the best as education is never subsidized by the government. It is relatively easy to find a job in Hong Kong considering that expatriates fall into the specific categories in demand. Foreign investors are always welcome but it might be harder to find a niche in the century-old competitive market. Multinational and local firms have downsized in the past decade to improve overall costs. Hong Kong continues to dwell on the service and tourism industry while other sectors drastically changed in performance and status due to the recent changes. Hong Kong has an employment rate of over 90%, which is one of the highest in the world. There are several low-paying jobs available but expatriates may have a harder time getting their dream job. Opportunities and company benefits are not many since firms are constantly cutting costs. Hong Kong will continue to rely on trade and imported goods for raw materials. Overall, competence and skills are essential in successfully landing a job that lasts in Hong Kong. i want to study at hong kong university. my family consist of 4 : iam, my wife,my 2 little kids one is of 3 year and the other is of 1 year. what is the expected living cost for us ( middle level ) per month?? An expat student who would graduate from HongKong university with salary lets just assume the mean salary i.e. around 16k HKD per month, what do you think he will have the scope of savings considering he will have to pay the apartments costs, food and other such necessary things cost himself? An apartment for 1 i presume or rather a 3-room apt. with me and 2 other friends sharing, which ever would make it the cheapest option. i would like to know , i got a job offer in hong kong, my salary is 38000hk$ and housing allowance 17000hk$, will me and my wife survive on this salary? I think this will be eough to stay at Hong Kong if u have allowance of housing.However that wld probably far from the town.But transport is goin pretty good in HK,it gives eneough options. I got an offer from a company in Central. If my offered salary is HKD 33k without any housing allowance, where would be the best place to stay in terms of getting best value in rental and commuting? I am currently working in one of the largest FMCP (Fast Moving Consumer Products) company in Africa. I am married with one kid and may plan to seek a job in Honk Kong and thereby move with my wife and kid accordingly. What would be the minimum salary that I and my family can sustain our selves with (keeping in mind that my wife may also take up a job as a teacher) after taking care of the monthly expenses such as Rents for Apt, Grocery, Utilities / Water, Transport etc and also education for my son. Would there be any savings?? Pls advise asap. This article hardly provides any concrete information. Anybody help me…..Tis is Ramesh from india. Iam a M.Tech Graduate. i got job offer form hong kong. i asked salary 1.5 lakhs for indian money. 28k HKD….whether is it enough or not i dont know. How much we can save and send money to my home? hw much we need to stay there? anybody please tell me as soon as possible….. Send to my mail please…. If you are not spend thrift and have no vices you can save half if you live within your means. >On the average, an individual can spend around 300 euros for food and drinks. Hello, is any one able to advise where would be the best place to live in HK with a family, 4 children, two being teenagers? Would need to be relatively close to schools and Happy Valley. How much would be expected for rent? My husband, 2 sons and myself are considering moving to Hong Kong. I was wondering if my 18yr old would be able to find any jobs in the plumbing industry? Do they have apprenticeship programmes over there? Where can I find out this information? I hope someone can help with some advice. Many thanks. hi! I've got an offer to work at kinderkarden as an intern and they pay in US dollars it's 1665 and I would like to know if I can afford the appartment a single room nothing big just me, and would I survive with that money in HK??? Hello ! its me – Hasin, from dhaka Bangaldesh, doing job in a managerial position. Me org has transferred me to hk in our foreign branch office there and offered me 25K HKD monthly basic salary. still I’m single and my company will arrange my dwelling initially. My work station is located at central HK yet if I wish to stay downtown and move office daily then how wise it will be of course in terms of all probable expenditures including living, transportation, food, etc. will please anybody suggest me the best way to think and arrange me my living and planning my expenditure there ? I will be grateful to him/her. thanks. HKD 30K monthly??? A one bedroom tiny apartment costs 20K HKD easy in Hong KOng. I will not take this job and relocate back to Hong Kong if I am offered this salary. I am original from Hong Kong citizen and currently living in New York City, which seems to me to be cheaper than Hong Kong. I get a bigger apartment here in NYC and also more savings than when I was in Hong Kong, even I have to pay more taxes here. Hong Kong's housing is insanely expensive and totally out of touch with salary… Too many people going to work there and drive up demand for housing. Hi, I have an offer in hand with monthly salary of HKD30k + medical benefits. Can I save? Is this still true now that it is 2011. Speaking of Pollution, thought NT is better than HK Island? Thoughts? The main source of pollution now in HK is the traffic as industries in Shenzhen and Guangdong have moved to other South Asian countries. NT are mostly residential areas with less heavy traffic and better town planning and more parks, and also lower rent and price of goods than Kowloon and HK Island. The downside is the longer transportation time (1-2 hours from the CBD) and the transportation at late night after the MTR have stopped. I am intending to have a MSc in HKUST. The courses are in evenings from 7pm to 10pm. would it be possible for me to find a job with enough earnings to cover my expenses? I am an european and I've been offered a job for HKD 28k, with no housing allowance. I am 31, single and very social person. If i live a normal life – with gym, restaurant once a week, having a late night once a week or two , cinema or theatre twice a month etc. do you think i can save at all or it will be just enough to have this normal life, or it won't be enough even to have this? Please help! I need to give an answer ASAP….. There is something else that bothers me. It's loneliness and balance in life…. Is there a good cultural life compared to the European countries where you can find lots of cultural events, exhibitions, performance, street art and underground arts and events. Are the companies really so demanding and pushing and taking peoples free time so there is not a lot left for socialising and personal interests…. May be these questions sound stupid but it is a culture and place that i do not know and i believe that not everything that you can find in the net is genuine …. i am Andres and i am from the Netherlands. I've been living in HK now For 3 weeks due to an internship for the upcoming 3 months. i have to say there are several cultural communities and meeting for different fields of interests for example: Hiking there a group that arrange a meeting each week or so and they'll take you to one of the most beautiful sites in HK. Although i haven't seen any real street art like i am used to in Holland i think that if you figure out what you are looking for and actually take the time to look for it and socialize with people of the communities you definitely find cultures of your taste. In my case it was salsa and they even have realy good dancers here! Hope you are enjoying Hong Kong. I am curious to know about the nature of your job role? I am in negotiations with an employer in Hong Kong who insists I give the expected salary but not been really successful in finding out the salary range for my kind of job. It is a mid-level event management job. HK$10,000 will not be enough, as you have to pay rent as well. I reckon you need about HK$15,000. as rent will cost around HK$4,000 -HK$5,000. there is food around HK$40 a meal times 2 meals (a day). which is H$80 x seven days.HK$560 a week.then there is travelling on top of this. so my figure is pretty acurate. I am an IT Professional from INDIA, and planning to migrate with my family to Hong Kong. I dont have any job offer as of now. I am not aware of Hongkong expenditures. What would be total cost of living (Rent for house+ Food+ Travel) for one month? Appriciate your quick response. what salary would be good enough. I have put together some figures after looking at a number of different sites, can something confirm that the below figures would be a realistic monthly expense if I moved to HK with my wife and 2 kids. Are the numbers stated in the aritcles in HK$ or US$? Just want to make completely sure! I wanted to know what are the regular pay offers for a fresher in the field of fashion (manufacturing/designing job)? Is the industry welcoming to expats? since the average cost of living is aroung HKD 15000 for single personwhat i have known reading through the comments , is it feasible for a single non resident to stay and survive the high cost of living. Are there possibilities of PGs/ Hostels too in HKG? I live in New Zeland and looking to move to HK with my partner in December and was wondering if anyone would be able to give me some advice and ideas on living costs and any other considerations I need to keep in mind. I would ideally like to have enough money for two people to survive for three months on no income, while searching for employment, but have now idea what it would cost for a couple to live (not just survive) per month i.e. rent, food, transport and other expenses. I am future PhD student in Hong Kong, could anyone tell me is there possible to live with my wife with 13.600 HK$ ? I got a job in Hongkong. I have no idea about Hongkong. My company offer me aprox 3000 USD Dollar. I am married and I have one kid also. Can any one help me to figure out , how much cost i have pay every month in Hongkong, if I take 1 bhk house on rent and normal veg food. Hi, my husband has been offered a job over in Hong Kong for just over 45000 HKD per month for the 1st 6 months & than will receive a guaranteed payrise. Just wondering if this will get 2 children (4yr old & 1yr old), my husband & I by with the cost of living? We've been looking at Discovery Bay as he will be working at the airport, preferably a 3 bedroom place (at least) that is safe for children. I wouldn't require Domestic Help for the 1st year & for the 1st 6 months I wouldn't send my eldest son to Kindergarten/childcare, they'd both stay home with me (to save costs & get used to another country). My biggest concern is the safety of my children in a high rise building as my eldest son is a climber. Are they all child friendly? I noticed some apartments are located on ground floor or have a fenced grassed area. I need as much information as possible – all the pro's & con's I can possibly get to better prepare my family before we make definite decisions. So if you have anything else to add it would definitely be appreciated. Thank you in advance for your time. iam from kenya and want to sturday at hong kong university anyboday to help me with information about accomodition? I got a job offer in Hong Kong Airport. Where is the best place to rent and how much should i pay for a single bed room but comfortable house? How about having a car for transportation. is it affordable? how about getting affordable European (or equivalent) food as i am sensitive in adapting with Chinese foods? Hi 45000hk enough to live in hong kong for a family of 3..? I have found a job in HK for 45000HK$/month. as I have reviewd rents vary from 5000 — 45000/month. also, living expense for 2 persons ( average-good living + average enteratining costs please )? is 45000 HK$ enough ? or it is just stay alive money ? Thank you very much for your helps guys. hi i have an offer to purseue my phd at CityU of Hong Kong, i will be give 14,000 HK per month. Can this amount be sufficient to cover my tuition fees, accomodation, living expence? plz note that i will be hosted in the University's campus. I got job offer of HKD 20000. Can you please suggest me some advice for reasonable living in Hong kong. Hi, am an Indian and planning to migrate to Hong kong. I have done MBA in tourism from India. I want to know whether the possibility of getting a job in hong kong. I got a job from hongkong salary of 30000 HKD. If it is enough for my family( my wife 2 kids 8 years & 5 years old)? Can i save money from my salary?.. Because i moving from india? Pls help me to give an idea.. I am from india. I am vegetarian. I got HongKong offer of 23500 hkd. Can anyone suggest me whether it is sufficient for a family(total 3 member). Can anyone suggest me One room kitchen rent at Hong Kong. Also suggest me cost of living at Hong Kong.